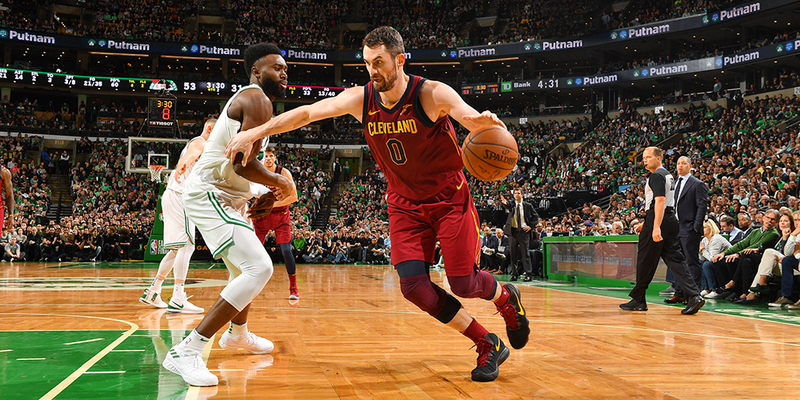 After years of deferring to LeBron James, Kevin Love will be back in a primary role. But will he be able to summon the version of himself that we saw in Minnesota? Contributing writer Jordan Brenner explores. It’s tough to summarize Kevin Love’s past four seasons in Cleveland. On the one hand, he played in three NBA Finals, won a championship, earned two All-Star selections and averaged a double-double (17.1 ppg, 10 rpg). On the other, he dealt with numerous injuries, got benched in the Finals on the way to that 2016 title, saw his stats decline from his days in Minnesota and was frequently the source of frustration for fans and teammates alike. But that’s the double-edged sword that comes with being one of The King’s knights.